Asia’s Emerging Markets: From Bust To Boom? Investors have re-embraced emerging markets (EMs), amid expectations that the worst is over for their economies after the recent battering. But with soft global growth and high debt levels, there are plenty of risks to the outlook for a “slow and painful” recovery. 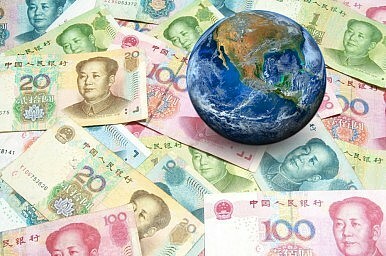 In its latest forecast, the International Monetary Fund said EMs would account for the lion’s share of global growth in 2016, while the World Bank suggested that growth in developing East Asia and the Pacific had “remained resilient” and would ease only moderately on the back of China’s slowdown. “They’ve been suffering severely over recent years, due to collapsing commodity prices, plummeting currencies [and] capital outflows, and they’ve been posting anemic growth at best. But now things are finally looking up – the U.S. dollar has topped out, which alleviates pressure on EM currencies; commodities and a range of EM assets have rallied in recent months,” she said. Lewin said EMs had “come back into favor among international investors” due to the perception that the worst was over for their economies, along with near-zero interest rates in developed markets that had sparked a search for yield. With the MSCI Emerging Markets Index now showing a bullish technical signal, “multi-month gains lie ahead for EM equities,” the economist suggested. For fixed income investors, Lewin said the rally in EM bonds would continue due to their attractive yields, relative currency stability (apart from China) and improving macroeconomic fundamentals, particularly India. “One of the markets we have liked for a while is India – we believe that Indian local bond yields have further to fall as inflation and interest rates decline over the coming months; food prices will moderate once monsoon rains pick up in coming months; and a slowdown in credit growth will further dampen inflation, giving the central bank reason to cut interest rates again,” she said. While the majority of EMs are seen on the road to recovery, Lewin pointed to a clear divide between the winners and losers. According to BMI, China’s growth has already peaked, while India and Philippines are in an upswing phase of the economic cycle, with Indonesia and Thailand also showing progress. However, commodity exporters and “reform laggards” including Malaysia are seen bottoming out or only just emerging from the trough. Lewin identified India as an outperformer among EMs, with expected gross domestic product (GDP) growth of 7.2 percent in 2016, making it Asia’s fastest growing major economy and the best among the BRICs. Market-friendly reforms, progress on fiscal consolidation and the narrowing of the current account deficit all bode well for India’s macroeconomic stability and investment. Indian Prime Minister Narendra Modi has also made progress on the political front, with the appointment of representatives from disadvantaged social castes to new leadership posts, potentially helping his party make gains in upcoming elections. Lewin also pointed to the passage of the Goods and Services Tax Constitutional Amendment Bill on August 3 as “a major success,” although full implementation would still take time given the need for it to be ratified by at least half of India’s 29 states along with the lower house. Nevertheless, she said BMI’s forecasts for India’s GDP growth were “below consensus” due to “high levels of nonperforming loans at many state banks, which are likely to weigh on growth.” As a result, BMI sees India slowing from 6.9 percent GDP growth in 2017 to 6.5 percent by 2020. “Of even greater concern though is that 14 percentage points of the total increase was a build-up in corporate debt at a time when corporate sector profitability was hit hard, which provides evidence that the state-owned enterprises continue to borrow heavily amid substantial cash flow weakness,” Lewin said. Beijing was a key driver of growth in the first half of 2016 thanks to its fiscal stimulus, with government spending up by over 15 percent year-on-year compared to the official target of 6.7 percent for the year. While the government spending helped counter declining private investment, Lewin said Beijing was now hitting the brakes to get government spending back on target, resulting in likely slower GDP growth in the second half of the year. Lewin said the increase in corporate debt also posed risks to the banking sector, resulting in BMI’s “below consensus” GDP growth forecasts for the world’s second-largest economy of 6.3 percent in 2016 and below 6 percent through to 2020. Such a slowdown would cause shock waves in regions such as Latin America and sub-Saharan Africa, where growth is heavily leveraged toward commodities, Lewin warned. Another key risk is further global financial market turmoil, with Lewin suggesting a more aggressive tightening stance from the U.S. Federal Reserve could trigger capital outflows from EMs, while a collapse in U.S. stocks could also trigger “risk-off” sentiment. Political risks also abound, with Lewin pointing to upcoming elections in the United States, France, and Germany as among those set to worry markets. “Each is set to be a tense and divisive poll, and as we’ve seen with the Brexit vote, there may be ramifications for EMs. One of the risks we’re particularly cognisant of is the potential rise of protectionism, which would bode ill for global trade and therefore EM growth,” she said. Lewin said victory for Republican nominee Donald Trump in the U.S. presidential poll could increase geopolitical risks in Asia. “One of the things he’s said is he might seek to reduce military support for NATO states as well as Japan, South Korea, and Saudi Arabia. To us that may mean that Russia and China would be emboldened to expand their influence in their respective regions, seeing that Washington was no longer seeking to contain them, so to speak,” she said. But while Washington-Moscow ties might improve, relations with China could deteriorate should Trump’s protectionist stance translate into measures to stem Chinese imports. Other analysts have also warned that valuations in Asia’s EM could be becoming stretched amid recent strong portfolio inflows. In an August 12 report, ANZ Research said recent inflows have driven a rally in Asian equities and currencies, while bond spreads have narrowed. But given a growth outlook “tilted to the downside, asset price appreciation could be causing valuations to get stretched,” the Australian bank’s economists said. ANZ said the Philippines appeared the most expensive on a relative basis, due to its strong growth performance and low exposure to China and Brexit risks, closely followed by Thailand and Taiwan. At the other end of the scale, Malaysia and Singapore had the cheapest asset valuations. Meanwhile, India and Indonesia asset valuations are seen to be “in the middle of the pack, but given their better growth prospects and recent reform push, we can expect continued investor interest. The ongoing hunt for yield should benefit India and Indonesia the most,” it said. Not all analysts are bearish, however. According to Morgan Stanley, combined GDP in the ASEAN-5 nations of Indonesia, Malaysia, the Philippines, Thailand, and Vietnam will rise by about a third to $3 trillion through to 2020, fueling a rebound in commodities demand on the back of new infrastructure projects. Lim pointed to the more than $50 billion of infrastructure projects planned by Thailand, along with Vietnam’s $10 billion rail modernization and plans for new projects in Indonesia and the Philippines. Both the World Bank and Citigroup expect commodities to post gains in 2017, adding to investor confidence and the prospects for EMs. Yet with global industrial production still below historical levels and China’s strong influence on commodities markets, Asia’s EMs have a lot of work ahead to spark a major upturn. “Slow and painful” growth might not excite investors, but it could be the least worst option for EMs amid plenty of risks to the downside. Asia Growth on Track Despite Washington WorriesGreen Shoots Sighted for Asia’s EconomiesAsia’s Elections: Market Moving or More of the Same?IMF Researcher: Global Growth Set to Recover Late 20192019: Dog Year For Asian Economies?